Our reliable PKI-based infrastructure and certification service for tachograph cards meets the highest security requirements. As a certified Trust Service Provider in the European Union, international compliance of our digital tachograph service is assured by regular independent audits. 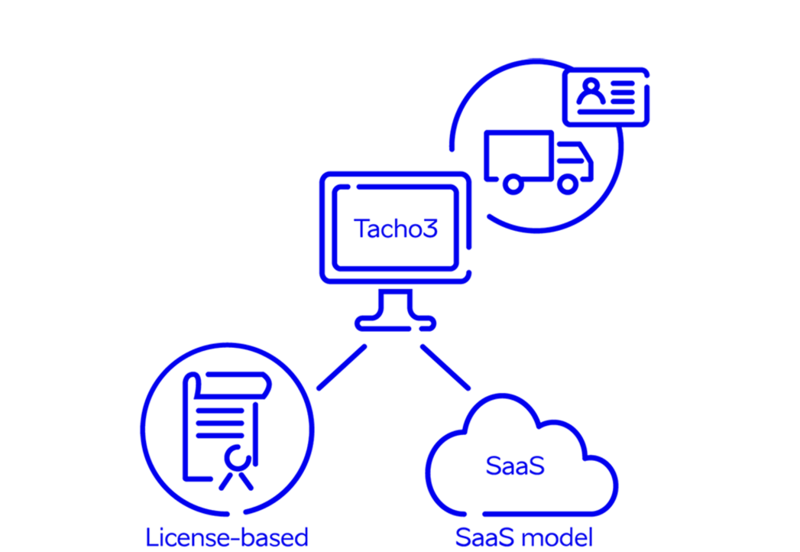 SK has developed the next-generation Smart Tachograph Solution mandatory in the EU from 2019 – the Tacho3 solution. It is a new out-of-the-box digital tachograph CA solution which complies with the upcoming EU regulation (Commission Implementing Regulation (EU) 2016/799). To ensure a smooth transition to the 2nd generation system, our Tacho3 solution supports both 1st and 2nd generation tachographs. 2nd generation – mutual authentication certificates for the driver, workshop, control authority and carrier company. In addition, signing certificates are issued for the cards of the driver and workshop. service running in our premises as a SaaS model. We offer our full know-how, support and smooth operations, including technical support for integration and installation. We help to perform key ceremony procedures, as well as with consulting and sharing knowledge on maintaining national CA policies.